Organized by the City of Huntsville, Asha Kiran, and various corporate and nonprofit partners including The Optimst Club of Huntsville, the Community Kite Festival aims to foster inclusiveness and increase awareness of social issues in the community. 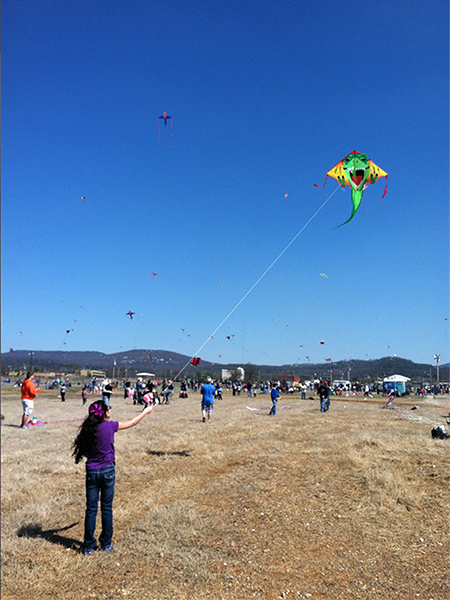 The Community Kite Festival is free, open to the public, and held in March at John Hunt Park/Jaycee's Building and Fairgrounds. Our club is a member on the planning committee for the festival. We will have a booth im the Jaycee's building during the festival. We talk to people about the Optimist Club and our activities. We pass out information about the Club and JOI clubs as well as balsa wood airplanes to the kids.